Urban Village Fete is a free one day music and arts event that features a range of unique pop-ups, walkabout entertainment, curated designer marketplaces, London’s best street food vendors, art & design workshops for all ages and a series of talks hosted by BBC Radio London’s Robert Elms. For music lovers, Gilles Peterson will headline the main stage, with Touching Base, Jazz Re:freshed, Ruby Savage, William lV and more djing throughout the day. 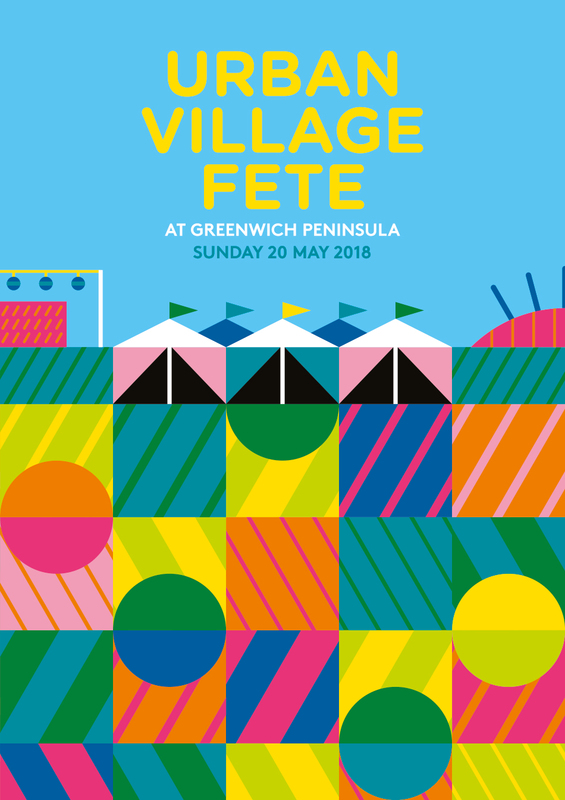 Presented by Greenwich Peninsula and curated by Hemingwaydesign, Urban Village Fete has attracted more than 25,000 visitors in the past two years. 2018’s event looks to be a bigger, bolder celebration of the best in design, music, art, innovative events and modern craftsmanship, right at the heart of Greenwich Peninsula.